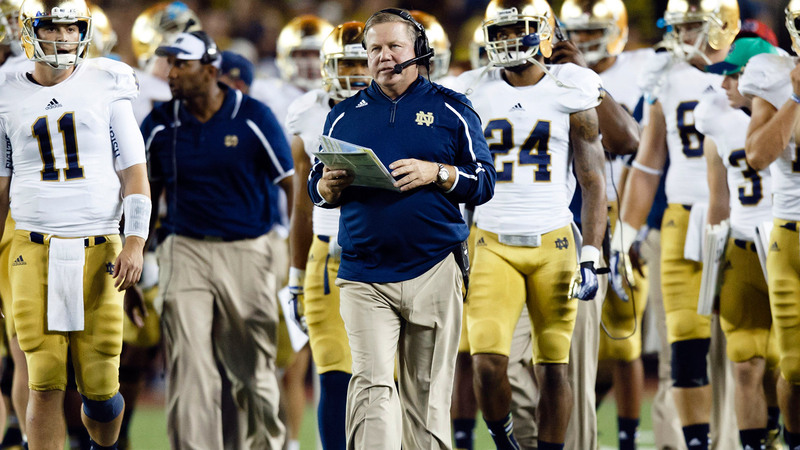 Notre Dame coach Brian Kelly showed the rest of the college football world how to play "Irish Jenga" in a recent tweet. Kelly posted a photoshoped picture of the Fighting Irish's 11 national championship rings stacked on top of each other with a caption that read, "My staff unanimously decided to add a game to the players' lounge this year. It's called Irish Jenga." It should be noted that Kelly has never been a part of any of Notre Dame's 11 titles, which is something he is looking to change this season.